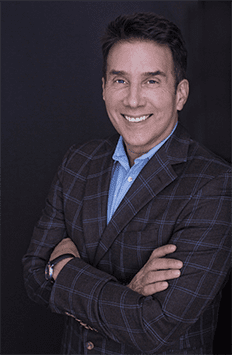 Our guest is Bill Stierle and he is a dynamic and commanding thought leader in emotional intelligence and thinking styles. His impact has been felt everywhere from the top business schools to Fortune 500 companies, nonprofits, and even government institutions around the world. He’s the Founder of Corporate Culture Development and has a unique knowledge of how to create successful training programs. We’re going to ask him to open up the secrets on how to resolve conflict and what happens after he comes in is people have more productivity and performance and are generally more effective. 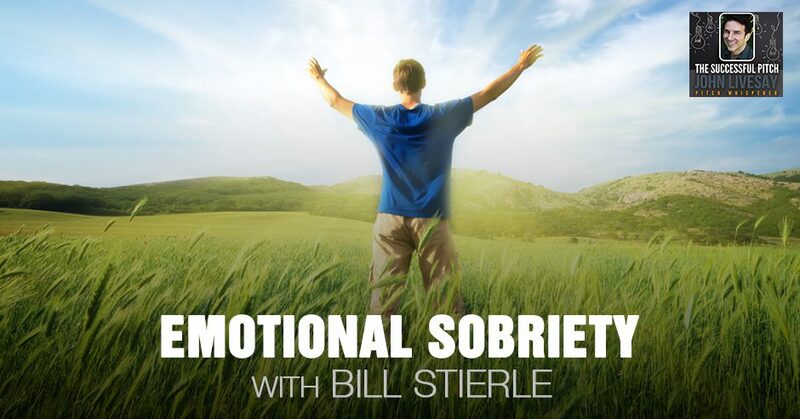 Bill has a book called Emotional Sobriety that we’re going to talk about and he also speaks on the topic. Bill, welcome to the show. Thank you so much for having me on. This is going to be a lot of fun. I always like to ask my guest to take us back to their own story of origin. You can go back as far as childhood, high school, college. Nobody starts off as the expert on emotional intelligence. Where would you like to tell us of how this whole concept came about for you? It came about when I was teaching high school anatomy and physiology many years ago. It started with a very simple question that my brain couldn’t let go of. The simple question was, “Why do people think the way they do?” That’s where it started. At that time of the mid-‘80s, there was a lot of brain research being done from the ‘70s and the ‘80s. They were having the tools and the abilities to stretch into what’s happening in the brain. How does thinking work? How does thinking works with certain jobs? I fell upon a good mentor. His name was Ned Hermann who worked at General Electric. 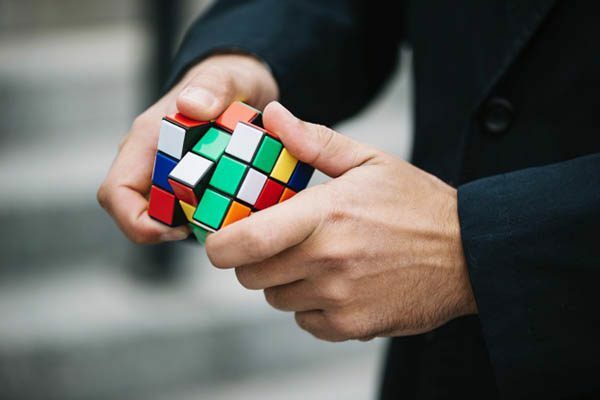 He came up with this thinking tool called the Hermann Brain Dominance Instrument that he used at General Electric in management leadership training as well as human resources. This tool is a 120-question survey that talks about why people think differently. That tool allows us and gives us an insight into the differences between an engineer and a social worker. Those are two different people, as well as an artist and a drill sergeant. Those are two other different people. Those are extreme or focused thinking types. Those are two different brains that are working in different places. An executive team is much like The Avengers. The Avengers are a group of superheroes and they all are sitting in different thinking styles and they’re approaching the world in different ways. They’re doing that in different ways, they have to come together as a team in order to defeat the enemy. The same thing has to happen in an executive team. They all have to come together. The finance person, the CFO, has got to have an honest discussion with the VP of human resources about how much staffing it’s going to take to get certain work done and how much the cost is going to be. That’s called an honest executive discussion. The VP of sales has got to have an honest discussion with operations because whatever they’re selling, the operations person has to be able to distribute or deliver to the person’s doorstep. Those two people have got to talk because if the sales get too big, the customer service and the operations can’t deliver it. Can you see how that one works? A lot of finger pointing and blaming. You talk about how to become a communication lifesaver. I used to be a lifeguard, so I’m interested to hear how you can help people become a communication lifesaver when those conflicts come up. That’s the second part of my origin story. I noticed that this work on the brain and thinking only took me so far. Whenever emotions show up, a person’s brain will activate into a protective strategy. Being a communication lifesaver is that if the brain is communicating in a protective way, what winds up happening is not hearing what the other person is saying. As a lifesaver, I’ve got to throw them a communication life ring in order to keep them in a conversation that’s productive and healthy versus one that is safekeeping and reductive and one that puts people at their poles. Do you have a story of how that would work? What does it look like when someone throws a communications buoy to somebody to keep them in the conversation? What it would look like is if an engineer or somebody that’s thinking in a logical and rational way quotes a fact or an inaccuracy that another person has said in the room. It’s a critical accuracy piece. The problem is the rest of the room doesn’t hear it that way. The rest of the room hears it as criticism, not critical. A life ring in that moment would be, “Joe, it looks like you’re stating the accuracy for everybody in the room and you’re pointing out how it’s not 39% but it’s 41% when you consider these other data. Is that the accuracy we’re going for?” He wasn’t telling the other person that they were wrong for not knowing the number. He was stating the accuracy piece because his brain needed to express it. Criticism and critical are mixed up. Three-fourths of the people can’t tell the difference between critical and criticism. Let’s underline that distinction one more time. Criticism sounds like versus being critical. All of those are and can be heard as defensive sentences that usually a person points out, “You’re being defensive.” It’s like, “I’m not. I’m just stating what the rule is. I’m just stating what the procedure is. If you want to write the procedure and you want me to retrain people on the procedure, I’ll be glad to do that for you. Right now, I’m trying to follow the procedure.” A drill sergeant is following a procedure. Why? They need to get 30 people to act as one person, to rely on the same set of rules and the same set of procedures. When you have a procedure that’s effective, it creates a lot of stability and a lot of trust. Everybody’s on the same procedural page. People like structure but the flip side of not becoming defensive, I see that often in selling or pitching. Let’s say you’re pitching to investors to get your startup funded and they ask you some questions. The minute the founder gets defensive as opposed to collaborative then they don’t get funded. If you’re presenting to a customer your product or service and they give you an objection, if you become defensive you don’t get the sale. Do you have any tips on what people can do in those situations where they don’t become defensive? I do. This one’s going to be a little bit difficult and we have to stretch this one a little bit because this one is a toughie. I’m going to start with a quote that I live by. This quote is valuable. If you can get it in your noggin and do it, it will save a month to two months of time over the next year. Get this sentence and apply it. Here’s the sentence, “Empathy before problem-solving.” Here’s the first problem you have to deal with. The problem is most people have a junkie or an ineffective definition for the word empathy. They don’t know what it means. Here’s the difference. What most people use is a form of sympathy. They don’t do a form of empathy. A form of sympathy is, “I understand what you’re going through.” That’s sympathetic. It’s not empathetic. Here’s another sympathetic sentence, “I hear that happened. That was too bad. I wonder what you can learn from this.” That’s sympathy. That’s not empathy. The feeling word is feeling inspired and it’s a question. It’s not an assumption. Could you be feeling inspired because of your need for awareness and learning? The two of them worked in there and you’re going like, “Something’s moving across from Bill Stierle to John.” You got the jolt and you became a little inspired. Your eyeballs and eyebrows went up a little bit. You leaned in a little bit. Something significant is coming. You got to move across the plate. I better pay attention and my audience better pay attention. This is going to be helpful to the people that I’m working with. Immediately, it’s generating this quality of contribution that people experience on your podcasts. They experience the knowledge transfer and the wisdom transfer and that they can have helpful tools that can enrich their life and their life experience. 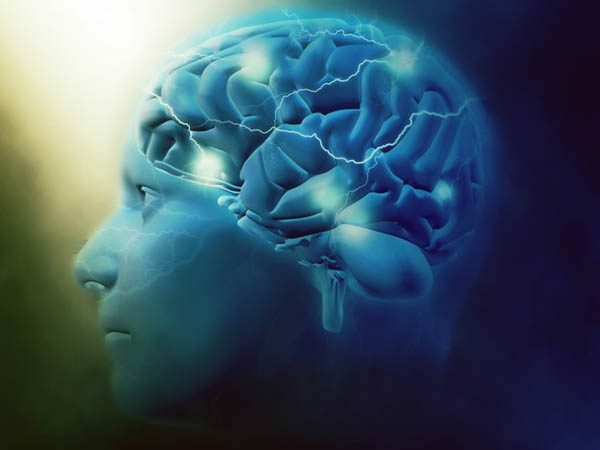 Emotional Sobriety: Whenever emotions show up, a person’s brain will actually activate into a protective strategy. Bill, I like what you’re offering but your price is too high. John, a part of you likes the product that I’m offering. Another part of you is feeling doubtful because you see the value is not at the same level as I see. Is that correct? Notice I got the word yes out of your mouth. That’s how you know empathy has taken place is when the person says yes to the feeling word doubt and the need word value. That’s what I did. In real-time, I filled in the blank of you giving me the objection. Part of you likes what I’m doing but a part of you is also feeling doubtful that your need for value is not at the same place that I perceived it. The person can’t help but say yes. You’ve actually removed the emotion from the discussion because you got the doubt out of the room. Now with lightning speed, I can say, “John, what do you think might be the value that would fit the product that I was offering?” I’m not trying to justify the value. I’m trying to find out what is in this person’s brain called the value or is it a red herring that they’ve used in the past? It’s too much money. “It’s not too much money, but it might be too much money, but not really.” The person could have a red herring. Now watch this and say, “Bill, it needs to be priced at $250, not $375.” Let’s try that. Bill, it needs to be priced at $250, not $375. John, I’m hearing that you’re feeling more confident that the $250 price would work better for you rather than a $375 price that would work in the marketplace. Is that correct? Emotional Sobriety: Empathy allows you to not solve problems that don’t need to be solved. Do you see how that, “Yes,” trickled out of your mouth? You go like, “How did Bill get me to say yes three times?” I’m not working yes on the deal. I’m working yes on the obstacle. This is particularly important in a slide deck. I did an investor slide deck for a workforce educational program. During the slide deck, I said to the guy, “Give me the top ten objections. I want to type them all up.” I typed all the top ten objections, it costs so much, etc. I’m like, “We do not need to prove any of these because I already have the data that proves all these. What we need to do is design empathy sentences for all of those.” “Empathy sentence?” He looks at me. I go, “If I got to get the person’s emotion to change before I get them to buy, not in the place of.” If the sale happens too soon, either they’ll have buyer’s remorse and kick out later or they will develop resentment on the money they spent. I love what you said that empathy allows you to not solve problems that don’t need to be solved. That’s a big distinction between doing it before solving a problem. Sometimes another big benefit of it is we don’t even have to solve a problem because it may not be what the real objection is. That’s a great catch there. That’s helpful because people come in with all or many or most, talk about many things that kill a business right now, this sentence here. People work out all the obstacles and overcome all the obstacles and wonder why the person doesn’t buy or refer the product. The reason why is that you did not allow the purchaser to be on the journey with you. You solve the journey before they could discover it themselves. People do not want to buy things that are done. They want to buy the journey of getting it. The sale is a mythic journey. It’s a journey of the hero. Who’s the hero? The person that’s buying it, not the person that’s selling it. This is a big part inside of the investor pitch deck that I was working on. I told them, “We need to follow this investor, this person” and we’re looking for high net worth individuals to fund this that are looking for a legacy project. We’re looking for them to come in. It’s like, “We cannot solve this thing, it’s got to be a seven-slide slide deck. You’ve got to inspire them to get on that their money is going to get there and we’ll work out the details later.” If we come with all the answers solved, they’ll walk out. There’s no emotional connection. I have to build the investment inside their body before I can take the investment out of their pocket. I say there’s something similar. You have to tug at people’s heartstrings to get them to open their purse strings. The heart string piece here, the way I see it and especially in the world of conflict is people are going to do something to meet a need of theirs, not to satisfy an emotion of theirs. They’re going to take the action towards the need. If it meets their need for trust, then they’ll invest. If it meets their need for certainty, then they’ll invest. If it meets their need for respect, then they’ll invest. If it meets their need for identity, then they’ll invest. If it meets their need for connection, then they’ll invest. The investment doesn’t come from how much money they’re going to get back. In fact, when surveyed, return on investment is number seven in the list before they invest. The question then is, what is the number one need of the investors that are at the top of the list before you can even get them to move? What do you think that number one is? I’ll push this one to you so you and I can have a little fun. I would say that somebody has to trust you first. You are right on top. Number one at the top of the list is the need for trust. That’s the number one need that needs to be met during the presentation, during the content, during the delivery. The weird part about it around the need for trust is you can’t get trust through over solving their problem or over presenting your product. You need to leave the mystery in the journey. That’s what good stories have. I’m fascinated by the image that you created of how many times have our audience said, “It’s like whack-a-mole. If you got four objections and I whacked them each down, then for sure you will buy and not have four new ones pop up after I leave.” That is valuable. Few people have that awareness that you have, Bill, which the reason is you’re not taking them on the journey. The goal is not to just keep, as Maslow said, using your hammer over and over again looking for nails. It’s this empathy tool versus a hammer tool. Emotional Sobriety: The feeling of doubt, most of the time, comes from the need for truth not being met. Let’s do another one because besides money, the other big objection that everybody gets is, “I need more time to think about this.” Either I need to talk to somebody else or we’re not ready to make a decision yet. That’s a common objection, whether it’s an investment or selling something. How can we use this great formula of yours of feeling and a need, so that we can handle that common objection? I usually empathize with the time objection with the following empathy sentence, “Could you be feeling hesitant because you might need more information or more clarity? Would you be willing to tell me which one is it? Is it more information or is it more clarity that you might need?” These need time. This is the fantasy that not just the investor has, but also the seller has is that they need more time and they’re going to start thinking about it, and then do what? The answer is once they’re walking away, they’re not thinking about your project anyway. What emotion they’re walking away with is skepticism. Even relief that they didn’t get pressured into something. That’s valuable because most people assume it’s the same thing. You’re saying, “Do you need more clarity on the information I’ve already given you? Is there something that’s missing for you to understand?” and then it goes back to because you don’t see yourself in the story. What happens is that they’re looking for a way to get out of the journey. They’re looking for a way to use the great power of doubt and skepticism. Doubt and skepticism as feelings because both of them are two very different feelings. The feeling of the doubt most of the time comes from the need for truth not being met. 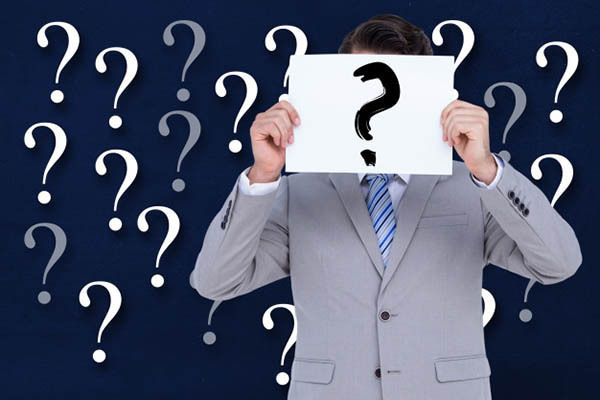 The feeling of skepticism most of the time comes from the need for trust not being met, but it also could be clarity or it could be information that causes skepticism. This is the best discussion ever. The reason why it’s such a vibrant discussion is that people don’t know how much power words and language have. Words and language change our physiology instantly. There’s a big difference between saying the word spider and the word ice cream. The same difference is between truth and trust. Truth is that there is either something factually inaccurate or informationally inaccurate or there’s something omitted. I don’t have some truth about something. When something’s too good to be true and I’ve solved all the problems and I don’t have any skin in the game, I will even manufacture doubt because this is all the things that have been answered. There might be something missing. What is the thing that’s missing? Doubt shows up in their body because what happens is they don’t buy the thing, they don’t make the next call, they don’t follow up. You chase them around and they start running. Trust, the reason why truth is a fact thing. Trust has to do with, “I don’t have any memorable history with you. I don’t have a memorable history with someone that has vouched for you.” There’s no trust because there’s no experience that when the going gets tough, you’re going to be there with me. When the going gets tough for this product, you’re going to be there with the product and be there with my investment. You’re going to treat my investment as if it’s your money, not my investment. As if it’s my money that you get to spend any way you want like a seven-year-old because that’s going on in their mind. Somebody that’s an investor most certainly either has a family member that is not really good with money that they have to keep bailing them out. They made bad investments before. They’re trying not to make that mistake before. What happens there is we’re trying to extract the belief thought that is driving and pushing the button of truth or trust in their consciousness. We want that out in front of us not to solve it but to empathize with it. If I have an investor that’s been burnt before, I do not want that past relationship being in my relationship with him or her. I’ve got to pull that out. Let it air out. Create a new moment between me and that person. I’m not the same guy as that guy. That guy and that product had a whole another set of problems to it. It’s not to say, I don’t have the problems I’m going to have. We’ve hit the reset button basically. It’s a reset button because once I’m on truth or trust, once I’m on clarity or information, once I’m on respect or acknowledgment or the need for connection. Once I’m on that need and I know what it looks like to that person, the quality of relationship and the quality of connection deepens. Once you’ve got that connection deepened, then they’re on the journey with you as opposed to you jumping ahead to the end without them going on it. They feel that’s not for them. They want the experience of incremental moments of success with our product. They are not as much interested in, “Give me the money back with my 30% in the next 60 days,” because they already have the money. They’re interested in the journey that the money’s going to provide them. This is incredibly insightful and useful. I could talk to you forever. I can’t thank you enough. The book is Emotional Sobriety and there are all kinds of nuances. What’s the one thing you want people to know about your book? The thing I like them to know about the book is it is the step by step way to diffuse the emotions that come up inside others, as well as the emotions that come up inside ourselves. We’re able to reduce the emotional load that we carry because many folks are carrying a lot of anxious, nervous doubt, some hesitancy, some depression, some anger. We want to be able to diffuse those things on our side and not make it to the outside world that’s doing it to us but it’s how we’re taking it. We can control our reactions and when that happens, we’re free from walking around with all this anxiety and resentment. I’ve heard somebody say once in personal relationships, “As long as one of you stay sane at any one given moment, you’ll make it through it. We both can’t be crazy at the same time.” That’s the gist of what you’re saying here. If you’re walking around with anxiety of needing, a quota is met or whatever, a fear of losing your job if you don’t sell something. The buyer has got their own level of, “I can’t make a bad decision here,” that anxiety is never a good recipe. Whereas your book, Emotional Sobriety, can help people diffuse that. The buyer’s anxieties can be dealt with in a much cleaner way. The thing that I like to say about what Emotional Sobriety gets you is with practice. This has been my experience when in the past I’ve been called to come into a city council meeting where people are screaming and feuding or other conflict situations. Usually, it takes me about somewhere between seventeen and 23 minutes to get everybody to calm down and to be on the same page and start working together even though they’d been feuding for months or sometimes years. That’s what it gets you. What a great outcome. The book is Emotional Sobriety. If people want to reach you for seminars and workshops, what’s the best place to find you? The best place is CorporateCultureDevelopment.com. You can also do it through my name, BillStierle.com. I can’t thank you enough for sharing your wisdom on how we can get people to have more empathy connection with us and get out of solving problems that don’t need to be solved. John, anytime you want to do other topics and things like that, have me back. I’ll be happy to contribute.